Hey how was your Valentine’s Day? Did you had a great time? If you still have not find your Mr. Right don’t give up, look at the brighter side because the right one yet to come. Well, I celebrated my Valentine’s with friends on Saturday in Japan and with m loved one on Sunday in Malaysia. It was a hectic schedule but I enjoyed every moment of it. Now I am back and my blog will be activated again. So this month I have a great giveaway that you must not miss, do join my February Giveaway White Klaus Kobec Daphne Ladies Watch. The White Klaus Kobec Daphne Ladies Watch bring out the charms to achieve the effortlessly polished look. Although its simple but it exudes the aura of elegant and classic cool with its geometric Swarovski stone hour markers. The Daphne Collection embodies a worldly playfulness that is both timeless and versatile. A subtle yet glamorous style with a meticulously crafted round solid stainless steel case and unique Genuine White Calf Knitting Leather Strap with Solid Stainless Steel Buckle adds instant chic to any outfit, whether for a night out on the town or a sumptuous weekend getaway. Overall the outfit creates a very casual and carefree sprit, suitable for work and play because of the basic and serious colours (black & white with a touch of red bandana). I like to wear like to work on Friday because we are allowed to wear smart casual to work on Friday. For meeting I might add a piece of jacket other than that it’s cool. Plus it is suitable for our hot and humid weather. Klaus Kobec Daphne Ladies Watch specifications: 34 mm Diameter, Japanese Quartz Movement, Genuine White Leather Strap, 14-16 mm Strap Width, Solid Stainless Steel Case and 5 ATM Water Resistance. Fashion-brand Klaus Kobec from Demark is known for its trendsetting collection of luxury watches for men and women, trendsetting statement jewellery, leather accessories such as beautiful handbags and leather goods including real leather and Swarovski crystals, stainless steel and ceramics was launched into the on South East Asia’s biggest e-tailer, lazada.com in end of 2014 to reach Malaysia, Vietnam, Singapore, Philippines, Thailand and Indonesia fashionista and watch enthusiast. Crafted with Japanese quartz movement, every Klaus Kobec watch will not only offer the wearer a statement accessory but also precision and accuracy in timekeeping. This is a watch for a fashion-conscious shopper who demands quality and luxury. Aimed at young affluent professionals who are looking for statement pieces, Klaus Kobec presents fashion-forward designs that are both trendsetting and timeless. The collection is made up of easy to mix-and-match pieces that will give wearers the freedom to create their own personal style. Klaus Kobec has designed a range of statement jewellery that will add the right touch of glamour and luxury to look or style. I have 1 unit of White Klaus Kobec Daphne Ladies Watch worth RM800 to giveaway this month. All you have to do is follow these simple steps and you stand a chance to win. How to Win the Klaus Kobec Daphne Ladies Watch? 8. Leave a comment below & tell me how you are going to pair your Klaus Kobec Daphne Ladies Watch. Please do not forget to leave your details. I am going to pair White Klaus Kobec Daphne Ladies Watch with floral midi dress during Chinese New Year and a red strappy shoes. 1. This giveaway starts on 17th February & ends 03rd March 2015 (12 midnight). 2. This contest is open for all Malaysian and international readers as well. Participants must be and 18 years old & above. 3. The winner will be contacted via email and must response within 24 hours, if not the prize will snowball to the next winner. 4. The winner will be chosen by the organizer. The prize (Klaus Kobec watch) will be delivered direct to the winner by the organizer. 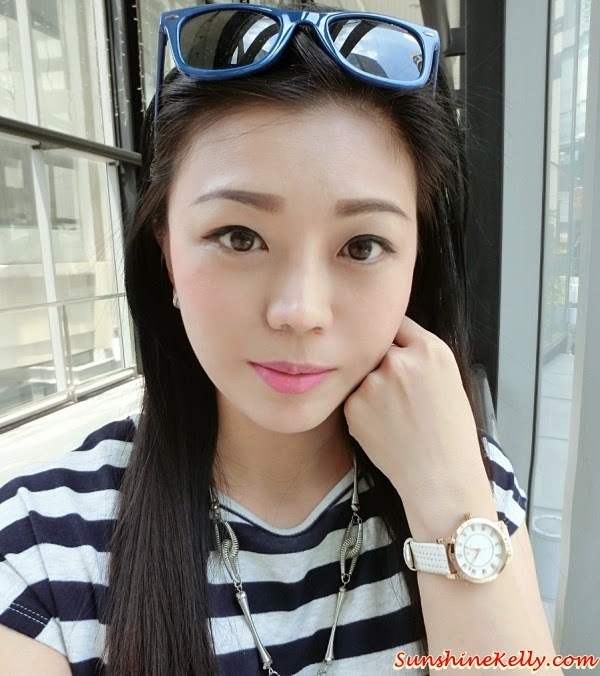 I am going to pair White Klaus Kobec Daphne Ladies Watch with a pink colour floral printed maternity top, a pair of comfortable leggings and a pair of white colour flats that I bought from Taipei night market for this CNY reunion dinner. I’m sure with the bump and new Klaus Kobec Daphne Ladies watch, I can sure be the apple of everyone’s eyes! I am going to pair White Klaus Kobec Daphne Ladies Watch with my new white dress with red ribbon. Pure refreshing CNY look for me.. 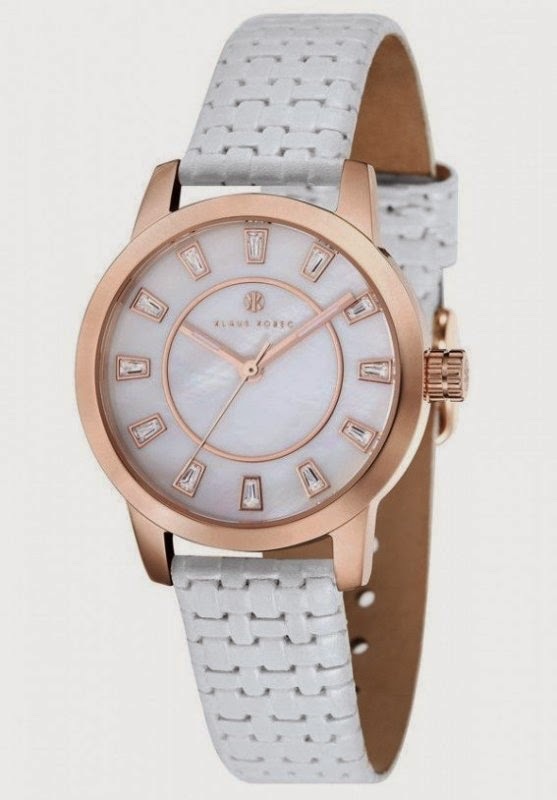 I am going to pair White Klaus Kobec Daphne Ladies Watch with pastel colours and my favourite beige wedges. The watch is in white color and white is the universal color. So it's easy to mix and match with any colors as long as you are comfortable with it. I am going to pair the White Klaus Kobec Daphne Ladies Watch with my my long peach colour evening dress and a maroon clutch attending my cousin's wedding end of this month. I am going to pair White Klaus Kobec Daphne Ladies Watch with my grand gray color long dress shown romance sweet heart collection because it is so fantastic ~!!! 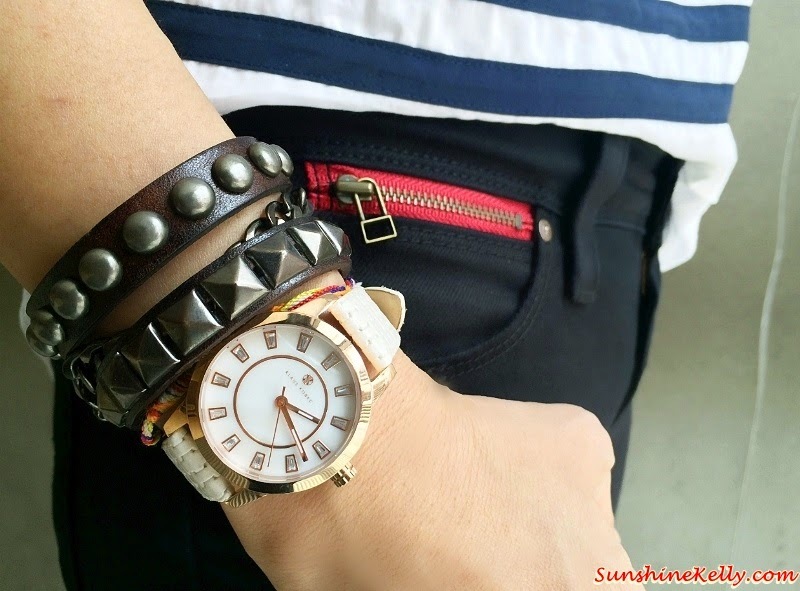 I am going to pair White Klaus Kobec Daphne Ladies Watch with my red blouse I got a Valentine's Day present from my hubby with my khaki skirt during Chinese New Year and a silver mary jane shoes. KONG HEE FATT CHOY to Kelly and everyone :) May this year of the GOAT bring us everything good - good luck, good health and happiness always :) Huat! Huat! Huat! I am going to pair White Klaus Kobec Daphne Ladies Watch with black Guess Dress-Deep Halter V as it look more elegant, exclusive and outstanding. I am going to pair White Klaus Kobec Daphne Ladies Watch with my newly bought floral dress, white scarve, pearl earrings, gold bracelet, red handbag, black high heels, and a pearl necklace. This elegant watch would surely look great and be the envy of my friends. I will tell all my friends where they can get this lovely watch. I would like to wish Kelly and everyone a Very Happy Goat Year with great happiness, good health and prosperity! Gong Xi Fa Cai! I am going to pair White Klaus Kobec Daphne Ladies Watch with just about anything. 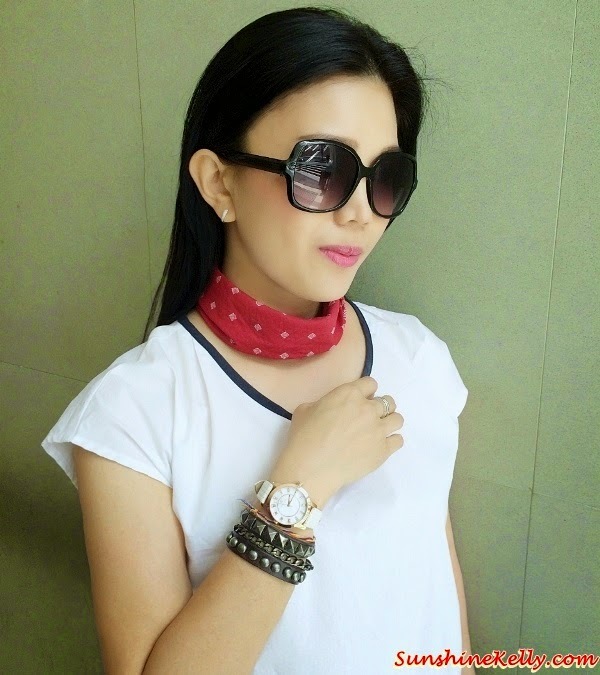 From casual wear to dinner wear, it will fit perfectly into any occasion. I will be pairing this elegant and timeless watch with a light tiffany blue angel sleeves short dress that has simple lace motives; a dress that exudes femininity and sugary sweetness. Together with a pair of off white strappy high heels to go with it. And not forgetting, I will add on a pair of cute white daisy earrings and nothing else to keep things fun and light while ensuring that the focus will totally lands on the White Klaus Kobec Daphne Ladies Watch strapped proudly on my wrist ! I am going to pair White Klaus Kobec Daphne Ladies Watch with a Plaid Button-Down Shirt tuck into a pair of beige shorts, layered with an ultra-thin Women Cardigan Sweater, and styled them with a delicate ankle-strap sandals. Thanks for your participation, I will announce the winner soon. Keep an eye here.